The stud chain pretty anchor comes with an anchor on the helix and with a steering wheel on the earlobe. 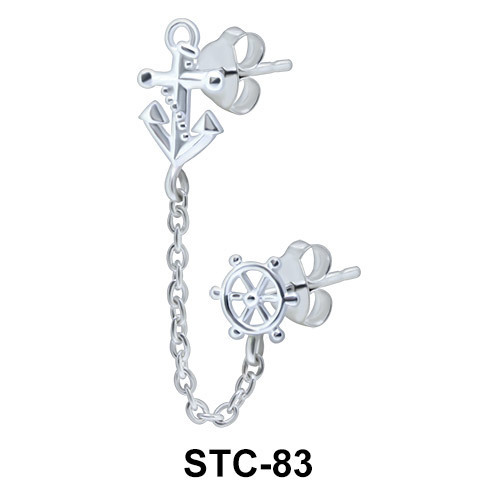 The spectacular stud chain has been shaped from 316L surgical steel. This stud chain looks awesome with casual and formal attire.